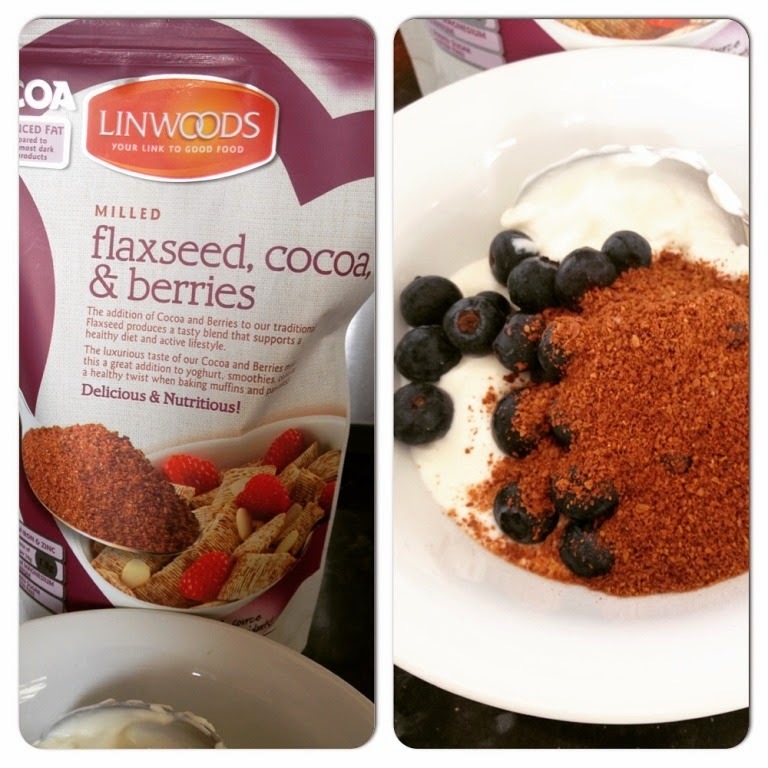 When I was introduced to Linwoods Milled products I was rather taken by the Flax, Sunflower, Pumpkin & Sesame Seeds & Goji Berries, many months on I am still purchasing and eating it daily with my morning porridge. I was keen to try another one of their products so I picked up the milled Flaxseed, Cocoa & Berries version from Holland & Barrett. Have you had 25 fruit & veg today? Now you have! This blend of milled flaxseed, cocoa and berries really is a SUPER food product that packs a punch, with the same antioxidant value as 25 fruit and vegetables in just 30g! Plus you get iron, zinc, magnesium, calcium & Vitamin B1. I add a couple of teaspoons to plain yoghurt and blueberries for a pretty healthy afternoon snack. It helps beat afternoon slump and tastes absolutely delicious and is happily nutritious. Have you tried any of the Linwoods range?